After the successful release of Gunlord, the NG.Dev:Team are now returning to their roots, creating a pure shooter. It will be their first TATE shooter and looks to us to have a good bit of Toaplan influence to it (yay!) and as such appears to be more Japanese-style than any of their previous games. We have high hopes for this one! As usual, the game will be REGION-FREE and is scheduled to be released in the 2nd quarter 2013, although as is often the case with games by small developers, this may slip a bit. As with Fast Striker and Gunlord, we should be getting our own exclusive limited edition of the game. For once, we expect to add the game to the preorder section soon. 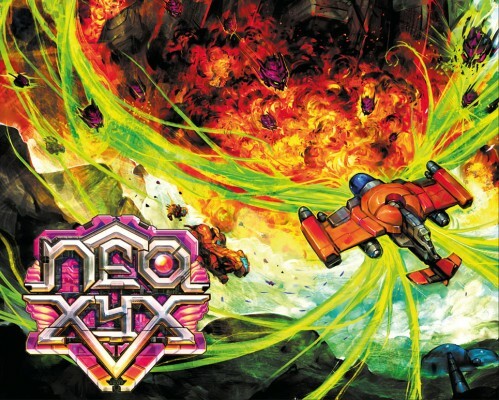 NEO XYX is a maniac shooting game. NEO XYX is the first NEOGEO game ever with a true vertical scrolling screen (TATE)! The score system is based on medal chaining and a mild rank system. Bombs are build by collecting powerups. The HUD/score/lives/bombs etc. switch between TATE and YOKO too.